There’s no reason to pay more when you can pay less. If you want the ultimate flight experience, Simply Business Class is your one stop shop for premier business class tickets at up to 50% off. Head to Simplybusinessclass.com to start saving today! Austrian Airlines is based out of Austria and offers flights to hundreds of destinations including cities within Asia, the U.S., Europe, the Middle East, and more. Their main hub is the Vienna International Airport and their “parent company” is Lufthansa. Austrian Airlines also has several subsidiary airlines, including: Ukraine International Airlines, Traviaustria, Austrian Lufthansa Cargo GmbH, and more. 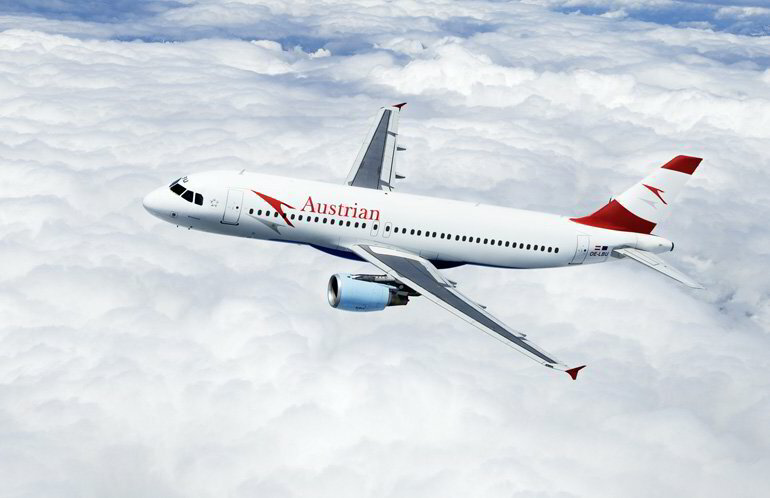 Austrian Airlines offers Business Class seats to international destinations. For those who travel Business Class, you can also enjoy one of Austrian Airlines many private lounges. The airline also hires a chef to prepare food for Business Class passengers who are flying on longer international flights. Austrian Airlines offers seats that convert into a fully flat bed, have a private charging system, private storage, and various other features.